Strips of fabric ranging from 2-5 inches wide and 20-36 inches long (both of these depend how thick and big you want your rosette! That is all you need. Let 's get started. 1-Knot up one end of each of your strips. 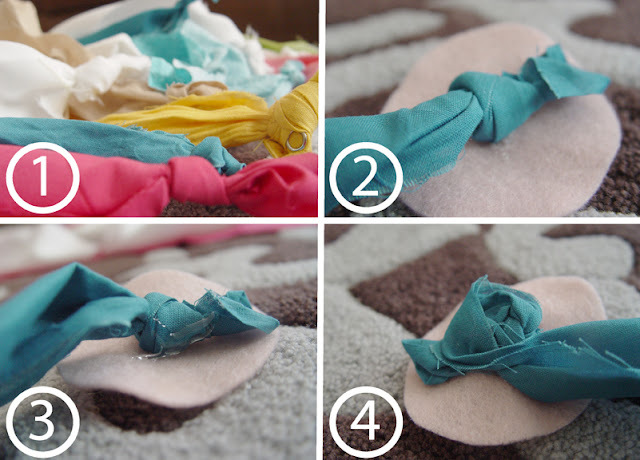 2-glue it to the center of your felt circle 3-place a strip of hot glue at the bottom of the felt, but next to the fabric. 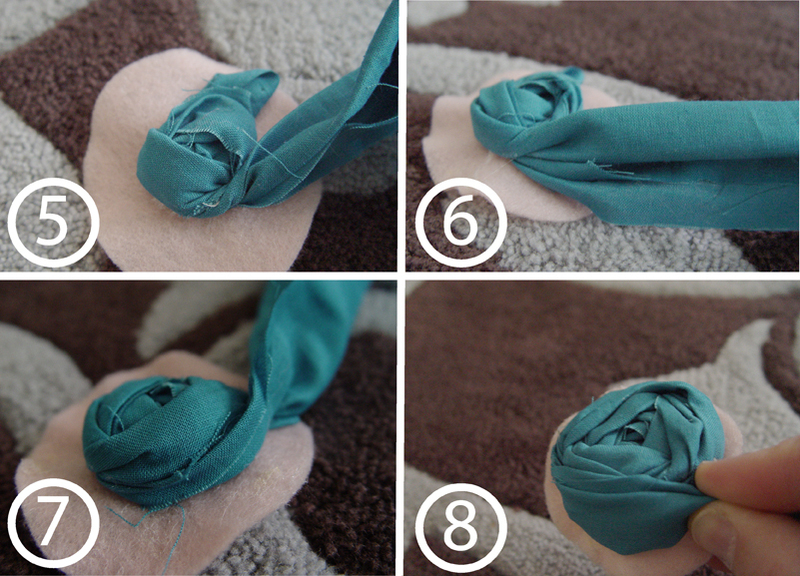 4-wrap fabric over the glue and press your finger gently on the glue to make sure it sticks. As you press the strip to the glue, simply twist the fabric over one time. 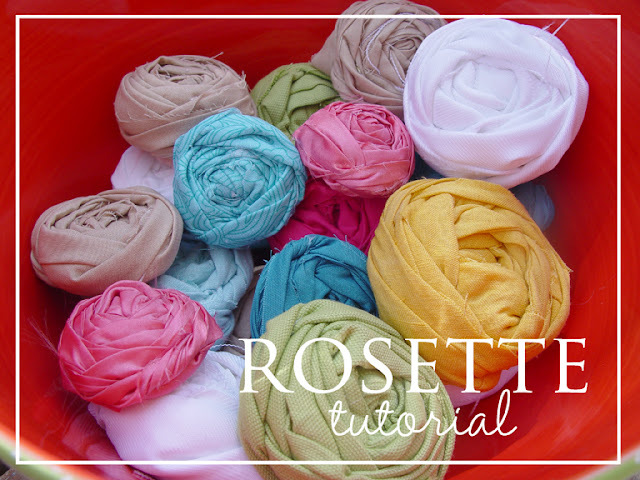 (a lot of rolled flower tutorials have you twist and twist as you glue, but I like the fuller, more layered look on the flowers, so I simply twist the fabric one time each time I glue. Play with it and see which you like better. I will certainly feel like a small fish in a big pond, but SO excited to finally meet some of my favorite bloggers! linking to these fabulous parties! I voted for this wreath becasue I loved the colors and funky style! Thanks for the tutorial. 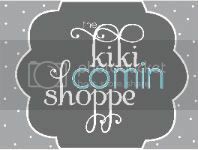 Kiki, I always enjoy your posts and tips. 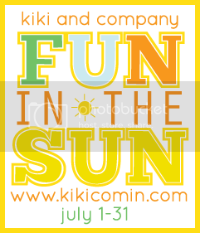 Your blog is full of fun ideas and doable inspiration with I love and appreciate! 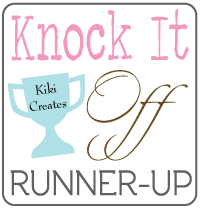 I'm highlighting Kiki Creates on my blog today. I'd love it if you checked it out! so cute! we are actually making these w/ the YW tomorrow on the ends of bobby pins! i'm glad i got to see your version before we make them! great tutorial! oh my gosh. so cute. i can't wait to try these! so cute on a headband or a pin. or picture frame. or in a bowl! :) thanks for the great tutorial! Those are so pretty! I love how you used the felt base!! These are great! I tried making some similar at http://bingecrafter.blogspot.com/2011/03/easy-fabric-rosettes.html but I made them into hairbows. I didn't make them using a felt circle, though, which I think might be easier & better. Yours look great! By the way, I love the text & borders you put on your pictures. They look fantastic! Thanks for sharing! Great tutorial! These are gorgeous! 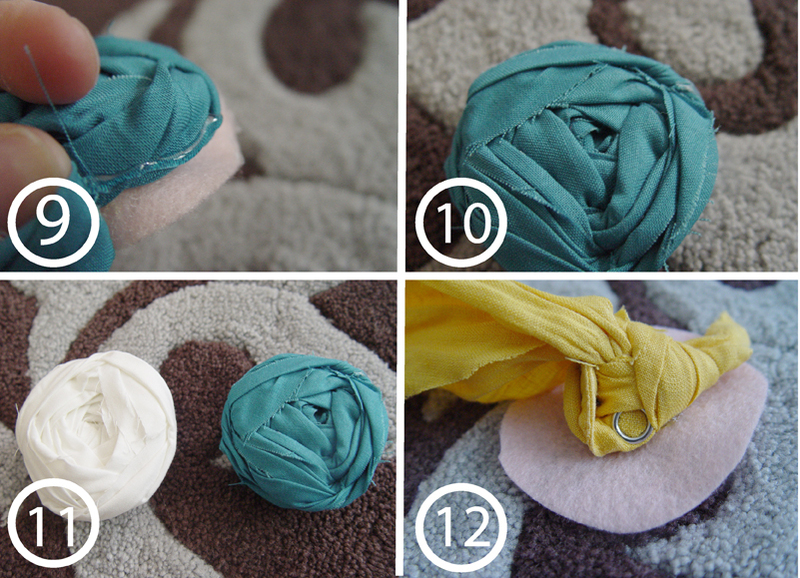 GREAT tutorial - I have been wanting to try these for ages and this is a great way to start! These are great! I have been wanted to try to make some of these and I love your way of making them. Gluing the knot down and then winding is just fabulous!!! Thanks for posting this tutorial, I'm adding it to my favorites! Visiting from Tatertots & Jello. I love the idea of using the felt base. I have been learning how to make these and sometimes after rolling and twisting its a mess. Thanks for the tip !!!! I love your wresth too. I made a bunch of rosettes a few weeks ago just because I went on this rosette kick. I never would've thought of just throwing them into a bowl to display! Great idea! Love your work! My dear...you are unbelievably talented!! It was soooo fun meeting you last night. We need to do that again soon!! Thank you for posting this rosette tutorial. Just made my first one using your technique & love it! Thank you so much for the tutorial. My sister has been bugging me for weeks to teach her how to do this, but I didn't know how! :) I just featured it on my blog. Very good tutorial! I would love to link to this and show off your method at my blog, Thymely Stitches. You do great work! Very nice!!! I've been wanting to make this for a long time thanks for the tutorial. Hurray -- you've really explained some things differently. I was having trouble getting "the look" I wanted. I have been trying to make my flowers look like yours without success. Thank you for posting this tutorial. I just love your rosette wreaths! Very pretty love all of the colors and your tutorial is great!